Do you ever find it hard to get motivated to ride your bike in the heat or over hilly terrain? 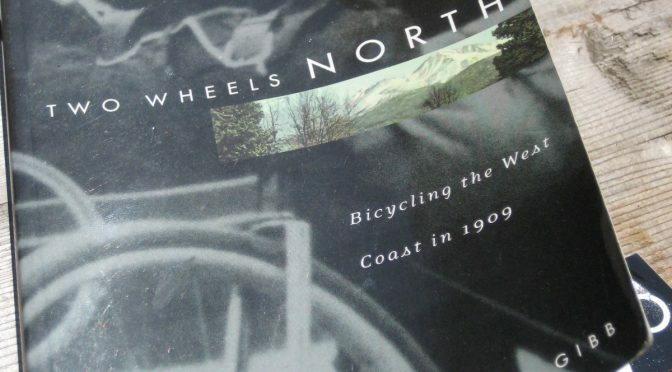 Find some inspiration in this true story that took place in the early years of the 20th century, before cars were the dominant form of transportation and before a quality network of paved roads had been established. 192 Pages. You can easily read it in a few days. Get a book and share with friends! Come to Carnegie’s, have a pint and some dinner, and join in lively discussion. We will bring other stories and photos of cycling in the 1800s and early 1900s. Members can borrow a copy from us for free. Return it when you are done for the next person to read. Limited number of copies you can keep for a $12 donation. Call Shasta Living Streets at (530) 355-2230 or email at elizabeth@shastalivingstreets.org to get a copy! Evelyn Gibb, daughter of one of the cyclists, has drawn on her father’s recollections to tell this incredible adventure in his voice.